Perhaps more so than almost any other sports team, the Steelers seem to generate not just fanatical fans but fan sites. There are certainly plenty to choose from. 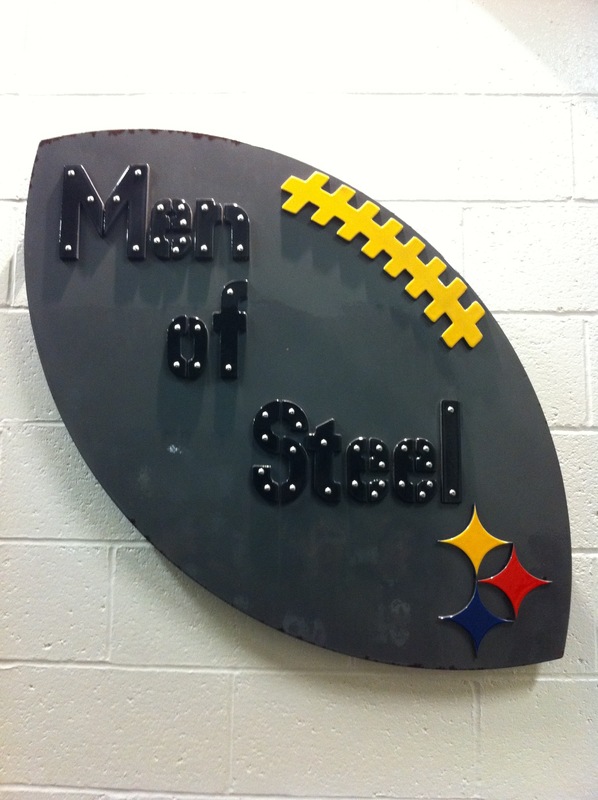 Our purpose is not to duplicate what is going on elsewhere, but to offer a different type of place for Steelers fans. You won’t find breaking news on our site, although we have a twitter feed on the sidebar to keep you up-to-the-minute. But the fact is, you can find “breaking” news on most of the existing sites. What we offer is a place to take an in-depth look at any aspects of the organization which catch our fancy. As writers, we all have different viewpoints and interests, and we want to generate a discussion about the things that intrigue us. So as much as anything, this is a place for conversations. In fact, I suppose it is more like a virtual Steelers coffeehouse than anything else. Since it doesn’t seem to exist elsewhere, we decided to create our own. We hope you will come in, kick off your shoes, and have a look around. Please tell us what you think. At this stage we are still very open to the direction the site takes and how it works. But most of all, please comment! It’s hard to have a conversation when there’s no one else on the other side of the table. You can find the site rules down below the Twitter feed in the sidebar. We tried to keep them pretty basic. We wanted to make a site that would be the sort of place we would like to hang out, and hope you will find it to your liking as well! This sounds like just what I’m looking for, Ma’am. A site where you can politely disagree with the writer or another commenter without being attacked like a pack of hyenas by the author, the moderator and their posse for daring to disagree! I just had a very nasty exit forever from BTSC and very much look forward to a FRIENDLY site! I hope this is it, Ma’am! Thank you, Ma’am! Until yesterday I practically lived on BTSC, everyday, for the last 8-10 years, but I noticed recently that all of the really good writers like Neal, yourself, Ivan, etc. all seemed to be gone! Now I think I know why! I think I’ll be ‘living’ on Steelers depot, Steelers.com, Bleacher Report and Going Deep from now on. I’ll NEVER go back there again! Not even to read! You should usually find the majority of my rather rare comments (I only commented over there maybe 120-something times in the whole 8-10 years I was there.) to be somewhere on the Sarcasm Brick Road to Facetiousburgh as I’m usually shooting for a chuckle, but its never mean-spirited! I’m glad you feel better! And as far as Neal goes, he left his post as BTSC editor to take a job that actually pays a living wage. He was briefly at USA Today but is now writing for DK on Pittsburgh Sports. It’s a pay site, but if, like me, you’re also a fan of one or more of the other teams, there’s great coverage there. I, too, am a refugee from BTSC. The inmates have taken over the asylum. I’ve enjoyed Rebecca and Ivan’s work in the past. Looking forward to checking in here. Welcome dude! You don’t get attacked and targeted by ‘moderators’ for daring to disagree here! Hello Rebecca! Due to a spate of family issues that arose beginning last December, I had to drop out entirely from participation on BTSC. Then, when I came back, I realized that most of their best writers had defected. It’s good to see what you’ve done here and, by the way, how do I register for posting on the site, or do I even have to register? How nice to (virtually) see you again! As to your question, if you mean something along the lines of a fan post, we don’t have that capability as of yet. So far I haven’t found out how to do that, although I’m still looking when I have a few spare moments. As for just commenting, you can comment on anything. If you are logged in (as you clearly are now) your name shows up—if you aren’t you show up as “anonymous.” At least I think so : ) I’m still getting the hang of this. In the meantime I hope you enjoy what you see! Nice to find you! I have always enjoyed your articles and posts. Insight versus rabid fandom is much more my style. Hi Rebecca — finally got on your site! Hope your trip was a good one out west. Hi, and welcome! I hope you enjoy it. I’m feeling much better now that I’ve left the New Mexico chamisa behind! I wondered where everyone went. I’m a regular reader at btsc, a non commenter, but loved the reading. Good to see a lot of you guys stay together. I look forward to reading more from this new location. PS, why did everyone leave? I can’t speak for everyone here, I can barely speak for myself, but I believe the quality of the articles and the commentary degraded badly once Neal left. I hung in there and still visit sporadically. It’s not the site it once was. One of the other main reasons is a number of the really good writers left or were driven off. I don’t know which. I know I am quite happy to be able to read Rebecca, Ivan, Homer, Hombre and others here. There absence at the old place left a gaping hole. Over there, I was Steely Dan formerly known as madanthonywayne. I’m having identity issues! Welcome. So this is what happened to the old BTSC. The quality of the commentary over at BTSC has gone down since its increase in popularity over the last couple of years and the quality of the articles diminished since Neal left. Thanks for starting up this site and providing content. Looking forward to being a regular reader (and commenter). Thanks so much for this site. I’ve been on BTSC for a very long time, and have probably commented 1-2 times. I’m not one who usually does, and often that is because I don’t like how the flow of things develop on sites at times. Plus, what I usually have to say has already been said. I’m not one to bang the same drum everyone else has. Welcome! Glad to have you. Please feel free to repeat what others have said if you like. I think often insight comes when a number of similar but not identical comments illuminate an issue. But feel free to just hang out as well! Is there a way to contact you guys with article ideas, etc.? Woda posted an interesting take on the Rooney Rule on Baltimore Beatdown that I responded to there…but I think it might be a good thing to take on here. I just now saw this, as for some reason I no longer get informed of comments via email. I’ve put up a contact info thingy in the sidebar, but here it is again: http://rollett.org/rebecca/contact I would love article ideas! It’s taken me so long to get around to coming on this site. Hello,happy to be aboard. Wow! I have wondered where you disappeared to…I so infrequently visit BTSC anymore, I missed your exodus. I have missed your writing, Rebecca, and also Ivan’s and I’m very glad to have found you. Question. What if football contracts were negotiated to be paid out over the rest of the players life? Say a Rookie deal is up and the Team offers a 5 year $50 million deal. $20 million is paid out now. $30 million is moved to the payroll account. $1 million will be paid every year for 30 years. The idea would be that anyone who played for a certain amount of time would have money coming in long after they are done. Guys wouldn’t be broke in 10 years with out anyway to pay for the healthcare the are going to need. The intricacies are vast and this might not be plausible but i would love to talk about this and hear others thoughts. I just learned about this place and am 100% diggin’ what I see here so far. I still enjoy BTSC more often than not despite the ruckus and am not planning to jump ship any time soon, but you are now bookmarked and I will definitely be dropping by more often! Thanks for dropping by! Glad you’re enjoying the site. sigh. how have I missed this for so long? i was a regular btsc reader/commenter since 2008 (i was agentorangerecords) and even before in the days of Michael Bean and others when the site was thoughtful and respectful. as it grew, it darkened to the point that it was no longer good or even healthy for me to be there. so I went cold turkey for a long time. I guess that’s how i missed the exodus that led to the genesis of this space. every once in awhile i stop back in to see if there are any rays of hope, and today i found a comment by Bleed Black and Gold that linked here. thank you! a virtual steelers coffeehouse? that’s exactly what i needed! i can’t wait to dig in! so all of that to say how much i’ve missed you, and how glad i am to have found you. Chewiesteeler here. Momma Rollet, I had no idea this site existed! I’m so excited to peruse the content here. I’ve been at another spot since 2009 and it just isn’t an enjoyable experience any longer. I hope you and your family are well. Going Deep is on Facebook!